The President of India, Ram Nath Kovind, dedicated to the people of Andhra Pradesh four projects of the State Government at a function held at Velagapudi, Andhra Pradesh. The Projects were Andhra Pradesh Fibregrid Project, Andhra Pradesh Surveillance Project, Drone Project; and Free Space Optical Communication (FSOC) system. The President focused on the 24/7 hyper-connected world and the online presence of the government. ð India has the highest level of non-performing assets (NPA) among BRICS countries and is ranked fifth on a list of countries with the highest levels of NPAs, as per the report by CARE Ratings. ð The only countries ranked higher than India on the list are Greece, Italy, Portugal, and Ireland. ð All these countries, along with Spain, are commonly referred to as PIIGS, and have been victims of sovereign debt crises in recent years. ð At 9.85 percent, India’s NPA ratio is over 400 basis points higher. Spain is the only PIIGS country ranked lower than India on the list, with an NPA ratio of 5.28 percent. Stubble burningis the deliberate setting fire of the straw stubble that remains after wheat and other grains have been harvested. The practice was widespread until the 1990s, wheStubble burning in Punjab and Haryana in northwest India has been cited as a major cause of pollution in Delhi.n governments increasingly restricted its use. India has successfully test-fired its indigenously developed Advanced Air Defence (AAD) supersonic interceptor missile, capable of destroying any incoming ballistic missile in low altitude, from a test range in Odisha. By March 2019, all homes in the country will be provided uninterrupted 24-hour power supply throughout the year, Power Minister R K Singh said. Ministry of Housing & Urban Affairs has approved the construction of 5,45,090 more affordable houses for the benefit of urban poor under Pradhan Mantri Awas Yojana (Urban) with an investment of Rs. 31,003 cr with central assistance of Rs. 8,107 cr. The approval was given in the 29th meeting of the Central Sanctioning and Monitoring Committee in its meeting. With the above proposed houses, cumulative houses under PMAY(U) would become 36,00,819 after final approval from CSMC. 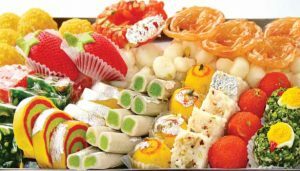 Telangana will be hosting an international sweets festival next month. The World Sweet Festival, featuring over hundreds of sweet items, will be held from January 13 to 15. Sweets from foreign countries will also be presented alongside the Indian delicacies. Crypto currency dealer Pluto Exchange has announced the launch of India’s first mobile application for transacting in virtual currencies. Pluto Exchange founder and Chief Executive Bharat Verma said his company is all set to launch the country’s first app-based wallet that enables bitcoin transactions using a mobile number. Tourism is a major engine of economic growth and an important source of foreign exchange earnings in many countries including India. However, as the tourism is flourishing, the country’s economy is also getting a massive hike. Notably, Foreign Tourist Arrivals (FTAs) during the period January-November 2017 were 90.01 lakh with a growth of 15.6% while Foreign Exchange Earnings (FEEs) during the period January-November 2017 were Rs.1,60,865 Crore with a growth of 16.9% over same period of previous year. India’s rank in the Travel & Tourism Competitiveness Index (TTCI), 2017 has also shown 25 places jump from 2013. The Rank of India in TTCI Report of 2017 was 40th as compared to 52nd in 2015 and 65th in 2013.